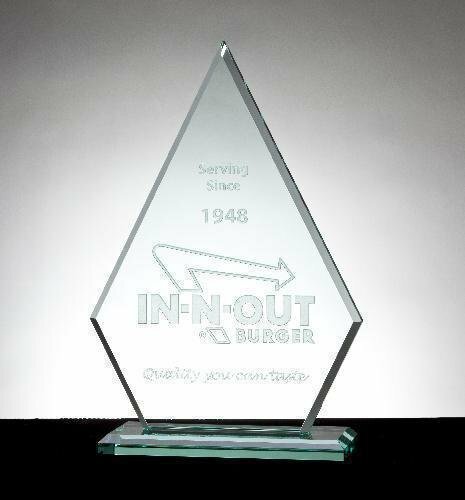 An elegant multi bevel circular acrylic award design, featuring bull-nosed side steps and 3D carved stars! Available in your choice of blue, red, green, gold or purple reflective bottoms. This product is also available with no stars, allowing extra room for engraving. Economy line Jade Clipped Diamond. Available in three sizes. This base is 2 1/2" wide with a beveled. 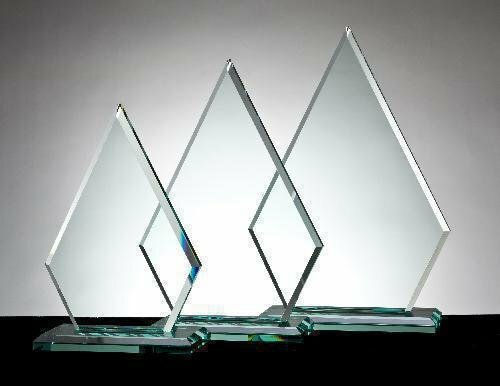 The thickness of top crystal is 3/4", a half moon aluminum base included, UV attached by the engraver.